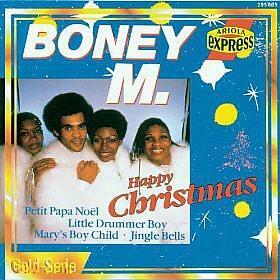 BONEY M - "LITTLE DRUMMER BOY"
Boney M's version of the popular Christmas song was never a hit in the UK, but their German fans loved it and helped take the song to #20 during December 1981. 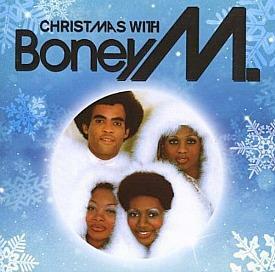 The track also featured on the German band's Christmas Album. The original song was written by Katherine Kennicott Davis in 1941, but the first recording wasn't released until 1955 and this was sung by the Trapp Family Singers (they were the inspiration for The Sound Of Music) and was called Carol Of The Drums. Little Drummer Boy has been covered by dozens of artists over the years. In 1977, quite bizarrely, David Bowie and Bing Crosby teamed up for their unusual version. In 1989 New Kids On The Block recorded their cover for the album Merry, Merry Christmas. More recently, Justin Bieber (did I really just mention him on this website? Aaargh!) recorded a version with Busta Rhymes for the album Under The Mistletoe. Believe it or not, even Grace Jones sang the song on a kids TV show called Pee-Wee's Playhouse in 1988 - I'd love to have seen that!